Cloud inspections provides hosted inspection software for multi-family housing professionals served as a service on the Internet. You will have access to your data from anywhere 24x7 without worring about backups, system crashes, or data losses. Cloud Inspections software can be run on most touch screen cell phones. Inspection templates include: Move-In; Move-Out; Quarterly, Annual inspections for: Units; Buildings; Grounds and other locations, HUD 52582 Housing Choice Voucher Inspection Checklist, Public Housing Assessment System (PHAS) Inspection UPCS. And, custom templates are available. Why is Cloud Inspections revolutionary for property management companies? Existing inspection systems either user paper checklists or dedicated PDA’s to enter checklists then dock to a host computer to upload data for reporting and printing. The Cloud is Multi-User software and the data can be viewed or printed even as the inspection is in process. The inspector can finish the inspection and immediately call the manager, home office or owner and the reports can be instantly viewed, printed and work orders created literally within minutes of notification from the inspector Maintenance repairs can begin even before the inspector has left the property. Cloud Inspections software can be run on most touch screen cell phones and tablets including Blackberry, Android, Iphone and Ipad. Your data is secure and can be accessed from anywhere 24/7 by many users. No need to spend time and money on backups. The Cloud is device independent and is adaptable to future device offerings. How much does Cloud Inspections Cost? Cloud Inspections is available per property at an annual fee of $240.00 for properties which contains 250 units or less per property. Please Contact us using the contact form for pricing details for properties with more than 250 units per property. 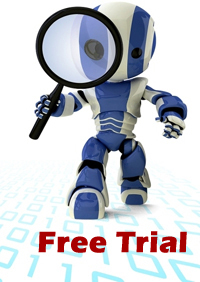 Begin a FREE No Risk or Obligation 30 day trial of Cloud Inspections Today. The FREE Trial includes All benefits and features enjoyed by regular customers. How can I quicly know about Cloud Inspections Functionality? You can watch a quick 5 minute Video Demo by clicking here. What devices will the Cloud run on? •	First requirement is to have a device with a keyboard, roller ball or touch screen. •	Second requirement is to have internet access with a browser to cover your inspectable areas. •	If your device satisfies first and second requirements, the Cloud should work for you. Please contact us using one of the following methods.We will be glad to assist you with your questions.